Forests are a place of beauty, power and wonder. They can transport you back to a primordial time when magical creatures walked the planet, stimulating the imagination and opening up a place of childlike awe.This is the space from which the Bolala was spawned, an ancient mythic spirit that acts as the guardian of all things wild - the forests, rivers, and wildlife of the Southern United States. 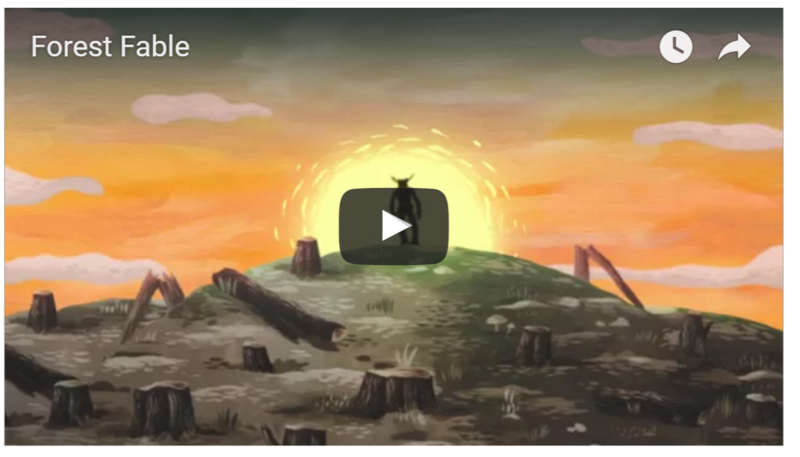 Dogwood Alliance is proud to release our "Forest Fable," an animation created in partnership with Free Range Studios. You can view the animation here. Over time our society has become overly mechanized and industrial and we have lost that wild spirit, slowly but surely the Bolala faded into the background and disappeared from our legend and lore. We came to view forests as a resource, a place from which we could make paper, lumber, and now even burn on a large-scale to produce electricity. Now more than ever we yearn for the reemergence of that mythical creature, but sadly, the Bolala only exists in fairy tales. What are we to do? How can we preserve and protect the wild places that provide our communities with clean air, drinking water, and house the rapidly dwindling plants and animals that hold together the web of life? This is where you come in, YOU are the Bolala! We all can work together to protect the forests of the Southern US. We can champion red wolves, flying squirrels, black bears and the myriad of forest creatures whose homes are threatened. We can stand up for the wild places that used to fill our ancient landscape but now are mere remnants that our vital to our sanity in this overly industrialized world. And we can work together to find economic solutions for our communities that celebrate rather than destroy our forests. Though the Bolala may no longer stand as guardian of our forests, you do, and that makes all of the difference! 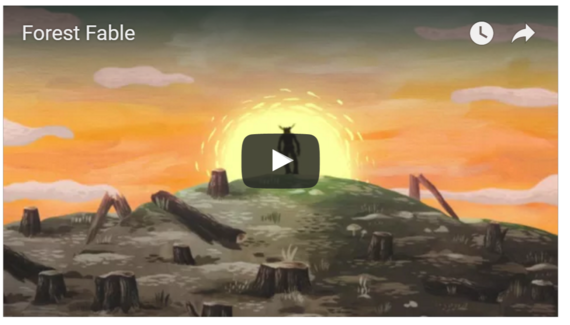 Check out Dogwood Alliance's new Forest Fable animation here !